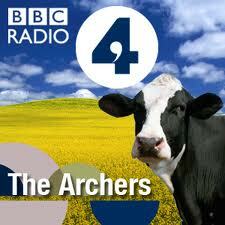 I have of late, but whereof I know not, lost my enthusiasm for The Archers. I have been listening since the late seventies and the programme has had its narrative lacunae, inelegances and downright mystifying failures of footing since then, but this is new in extent and gloomifying in the extreme. Particularly though I am grumpy with what has happened to the mixed-race daughter of the single-parent vicar: one-woman diversity checklist Amy Franks. Formerly a pleasant, uncomplicated student of midwifery she has suddenly turned into a seething hybrid of Goneril and Alex Forrest from off of Fatal Attraction. The reason, or inciting incident as I’m sure the writers would have it, behind Amy’s change is that her boyfriend Carl turned out to be a married man and her stepmother Usha withheld this information from her. Amy’s gorgonesque spite is almost entirely directed against Usha. So there’s a reason behind the character change, but reason isn’t good enough. It’s just not the way people behave. It is the way soap opera characters behave, and that is incompatible with the way The Archers works. 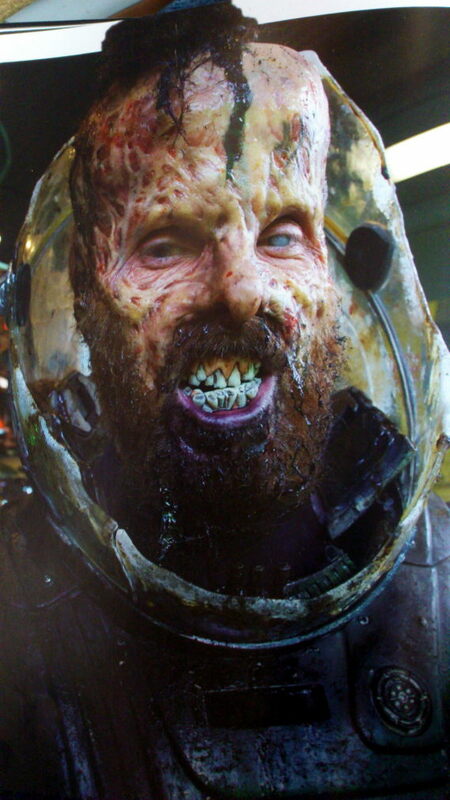 A recent criticism of Prometheus was that the characters act inconsistently. Why does Janek not assert his captaincy? Why does Millburn return to the ship in fear rather than investigate the xenomorphs like he’s there to do? How do Millburn and Fifield get lost on their way back to Prometheus? Fifield! Look at him, with his silly space haircut. I’ll tell you why. Because people do stupid, inconsistent things. That’s why. And the getting lost thing? I got lost walking round a loch once, missed a turn and ended up spending the night in a bothy, and that was without the stress of being on a hostile planet far away from home. These aren’t failures of characterisation. They are traits of humanity. What is happening with Amy in The Archers is different from this. It’s a total change of personality and you rarely get that in reality unless some kind of brain incident has taken place à la Phineas Gage. You also rarely used to get it in The Archers which, for all its gently lolloping eccentricity, has thrived thus far on slow, consistent, evolutionary change. It is however the currency of TV soap operas and this I fear is where we are heading. Soaps are great, probably. The Archers apart, I don’t really partake of them, but some of the people I love do so I accept that the fault is mine, that there is something there but that I don’t get it. The screeching hysteria married to situational stagnation is not for me. The sense of constantly being in the middle act of a three-act play without ever reaching the resolution of the third act is frustrating, I find. And the hyperbolic, lurid excesses of plotting would be great in a giallo movie, but week after interminable week in a pub or a bra factory? That’s just exhausting. The spikiness of the graph, the remorselessness of it, the dizzying emotional swoops up and down, and all the time, appal and alienate me. And now it looks as though the meek undulations and borderline ambient noise of The Archers are changing in that direction. Obviously I am getting old, and this is the wheezing, hectoring sound of a man shambling towards the grave, but I don’t like this absence of nuance that proliferates now. Dastardly constructions that sound like open questions, but which aren’t. Last week there was much twittering and reporting about, and I paraphrase here for rhetorical effect, the imperial might of the Argyll and Bute Council which, combined with Sauron’s hordes of Mordor and the Dalek army was about to crush the life from a nine year old blogger, and possibly to grind her bones to make their bread. Lochgilphead schoolgirl Martha Payne has been writing a blog about her school meals under the pseudonym Veg. The story was that the jackbooted bullies in the council had banned her from taking photos of her meals. Reprisals were swift. The council were traduced in all broadcast media. Celebrities got involved. Tweets got re-tweeted. I even heard some people were fulminating. The reality was this: For some weeks Martha had been blogging about her meals in an open, appealing way. Sometimes she was critical, mostly she was complimentary. The school encouraged this. The council implicitly approved by keeping their noses out of it. The controversy only arose when Scottish newspaper The Daily Record became aware of the blog and decided to smear some of its sulphurous crap over the whole thing. For money through increased circulation, you understand. “Time To Fire The Dinner Ladies” was the headline they went with. The council’s response was to stop Martha taking pictures inside the school, worried that their employees (the dinner ladies) were being threatened in the national press. Now this might be slightly heavy handed on the part of the council, but isn’t it understandable? They have been subsequently criticised for their inept PR, but why should a council be spending money on top class PR to explain stuff to journos? The money they spend is Council Tax payers’ money, and would rather better be directed towards, oh I dunno, schools say. It bugs me how quickly people got coerced into a state of high dudgeon by a manipulative press. There was no conflict between Argyll and Bute Council and Martha Payne until the Record crowded round them shouting, “Fight, fight, fight.” And the world got on board with that because being in a lynch mob is quite exciting yeah, but a lynch mob on a band wagon? Man, that’s living the dream. I regret this about us now, that we go unanalytically where we are led by villains. That we thrive on exaggeration and confrontation. That the quiet, compassionate, wonky, human way of being is subordinate to simplistic, shrieking, dualistic soap operatics. Also, I think that if The Archers is determined to pursue the popular agenda it should do it by devoting fifteen minutes a day to showing Borchester Land building a Death Star full of cows under the guidance of Grand Moff Crawford, while Adam Skywalker foments rebellion. Occasional comedy interludes in Kenton’s Cantina if necessary.